Our monthly guest commentator Roz got to have the opportunity of a lifetime at this year’s WonderCon!! 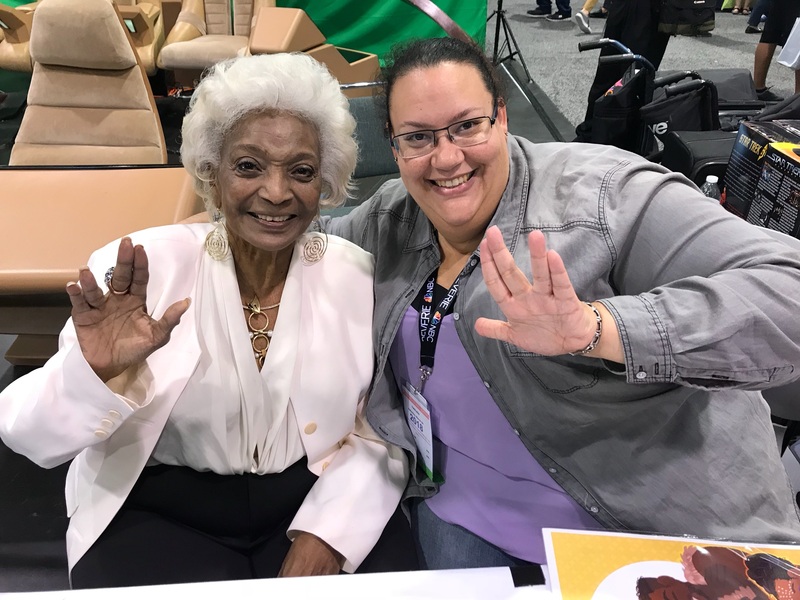 Not only did she get the chance to interview the one and only Nichelle Nichols, the original Uhura from Star Trek, but she also got her picture taken with the legendary lady! !